A new AI system out of MIT has successfully proven its ability to make inferences and produce handwritten characters that are mostly indistinguishable from that of a human’s. The system is based on a computational structure known as a “probabilistic program”, and is the thesis work of former PhD student Brenden Lake. Unlike more traditional computer programs that break a complicated system down to its most basic parts, a probabilistic program makes inferences to fill in gaps by analyzing a large array of examples. The system was subjected to a variety of tests, all of which asked the machine to produce characters in a writing system that were different by a matter of degrees than the character to which it had been first exposed. Humans took the same three tests. Judges of all three tasks, in both machine and human, identified the machine product 50% of the time, equatable to chance. Elon Musk and Sam Altman are co-chairing the founding of a new nonprofit research institution along with a number of prominent research engineers and scientists, advisors and investors. OpenAI aims to focus on cultivating positive outcomes for the unknown but vastly advancing potential future of human-level AI. Greg Brockton, the former CTO of Stripe, will serve as the organization’s CTO, with Ilya Sutskever, a research scientist at Google, serving as director of research. The organization pledges to make all results of its research outcomes public and keep all patents royalty-free, putting the possibilities of AI into as many hands as possible. In collaboration with NASA, Google has announced its successful creation of the first working quantum computer – the D-Wave 2x – which is supposedly 100 million times faster than any machines known today. A computer of this power magnitude has potentially profound implications for the field of AI; machine learning problems too difficult to solve on today’s computers could, in theory, be solved in instants on a quantum computer. Google’s quantum computer is not without its potential obstacles i.e. taking into account the weird and unpredictable world of quantum particles, for example. There’s also the competition from other “unconventional” computers, such as IBM’s Watson, or the memcomputer, which mimics the human brain. On Thursday, Facebook announced its plans to open source the hardware designs used to build the computer server, nicknamed “Big Sur”, on which it runs its AI algorithms. The news comes a month after Google released the open-sourced software engine behind its deep-learning capabilities. The motivation behind the release taps into the wider pool of talent and resources of the public, which could help speed the advance of the technology. Open-source software now seems to be a landmark of today’s technological landscape. “We urgently need to promote responsibility for the robots embedded in our society. Robots are only as responsible as the humans who build and use them. We must ensure that the future practice of robotics is for the benefit of mankind rather than for short term gains”. Venture Capitalist Vinod Khosla, the founder of Khosla Ventures, is more concerned about the threat of human manipulation of genes over potential haywire AI. Khosla made the comment in a Quora response, after he was asked about previous comments made be Tesla's Elon Musk. Khosla stated that both are tools that need to be managed, with the potential to bring both benefits and destruction. He noted the development of CRISPR, a technique now being used to edit animal and human genes. Chinese researchers are already using the method to alter genes in human babies. His concern relates to unregulated use, and the creation of more intelligent "designer humans" that are output a faster rate than those yielded by nature. AlphaGo, Google's AI-playing Go Champion, has so far beat out top human Go player Lee Sedol. The match, held Wednesday in Seoul, was front-page news in Korea and a top news story throughout much of the world. The match officially lasts until next Tuesday, March 15. The game was held in a small closed room with only Mr. Sedol, AlphaGo's operator DeepMind Researcher Aja Huang, and other officials. AlphaGo started off playing a "balanced, peaceful" game, but about 12 moves into the game went on the offensive. While the technology made a few fundamentals errors in early play, it avoided similar mistakes in later play, demonstrating its unique ability to learn from its' and other's mistakes and make more complicated moves using machine learning techniques. While other matches remain to be played, AlphaGo has already proven its worthiness as a masterful rival. 1 - Could Slack's Slackbot Herald the Era of Virtual Colleagues? Slack's new virtual assistant, Slackbot, has helped increase the company's valuation to $2.8 billion by investors. The "assistant, notepad and programmable bot" first helps Slack users fill out their profile on Slack. 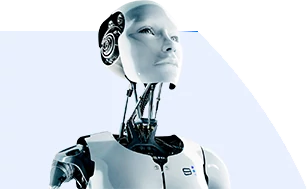 The virtual bot then allows users to store message in a notepad, and programmed with automatic responses to encourage colleagues to pick up the pace. Other organizations, such as The New York Times (NYT), have created their own version of the Slackbot (NYT dubbed theirs Blossom, which recommends stories to be posted to Facebook). The potential of chatbots lies in the range of other capabilities that could be programmed, such as sending messages between colleagues to schedule work trips, research topics, run recruitment campaigns, and more.